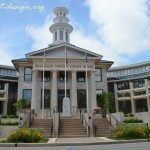 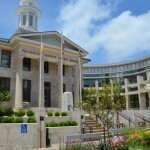 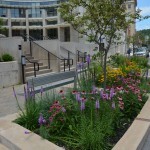 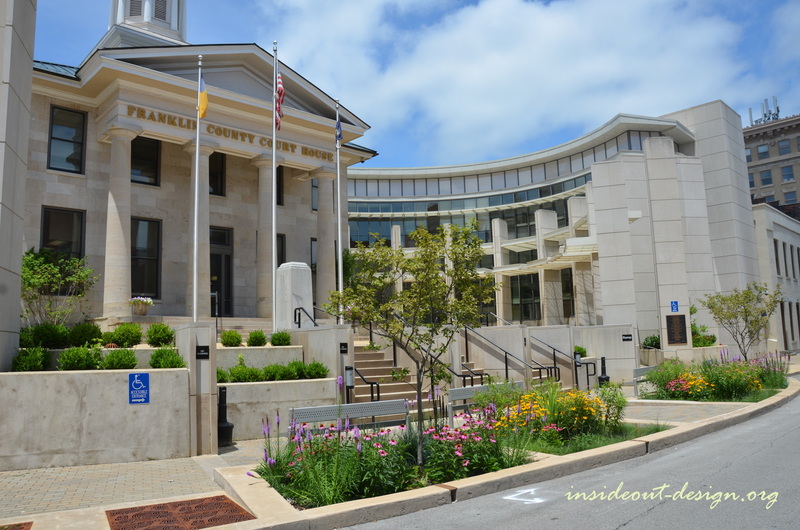 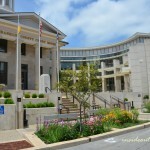 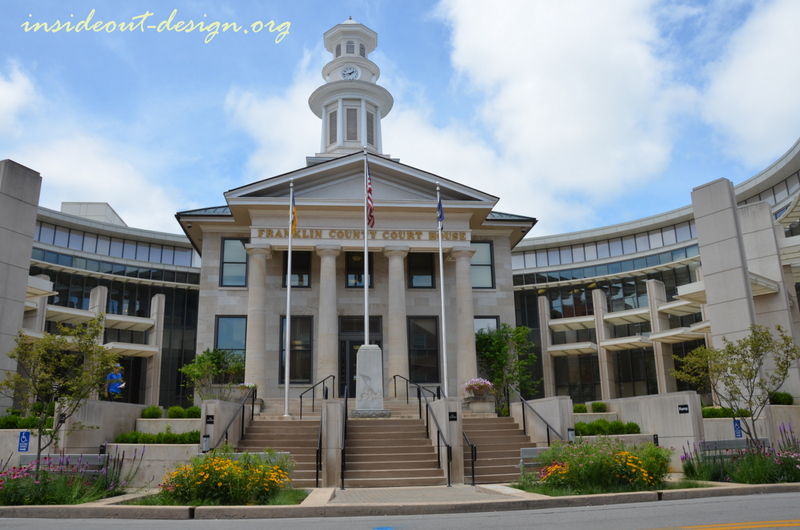 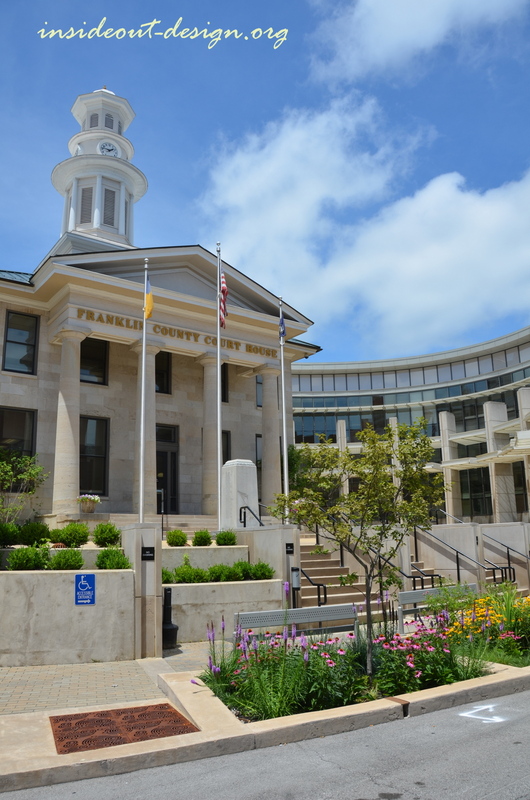 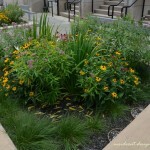 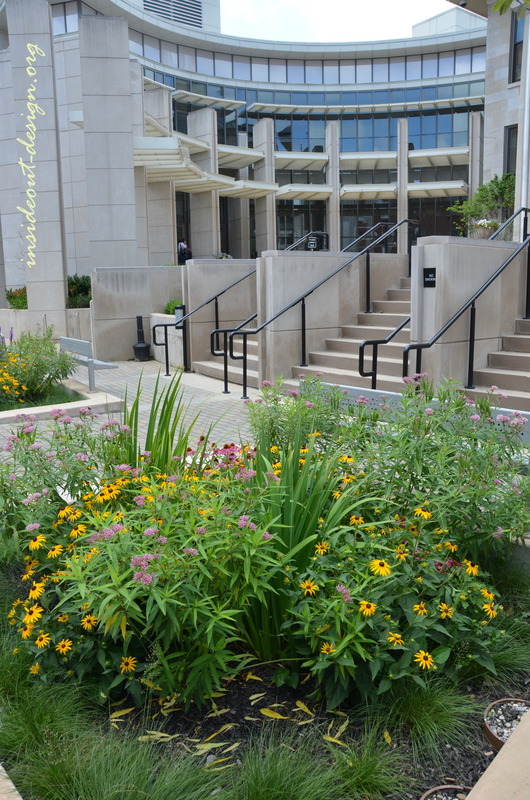 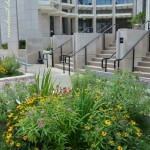 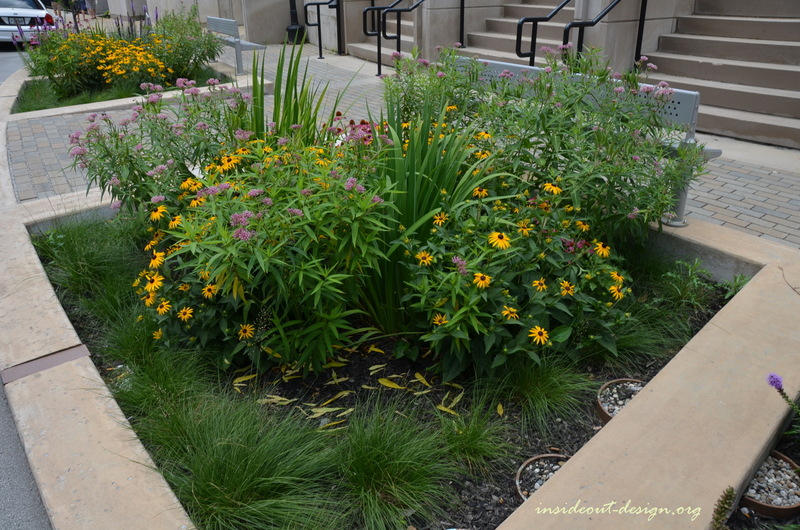 The originally installed, over-engineered rain gardens were not fulfilling their potential and serving as a huge ashtray in front of the courthouse. 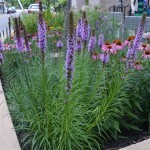 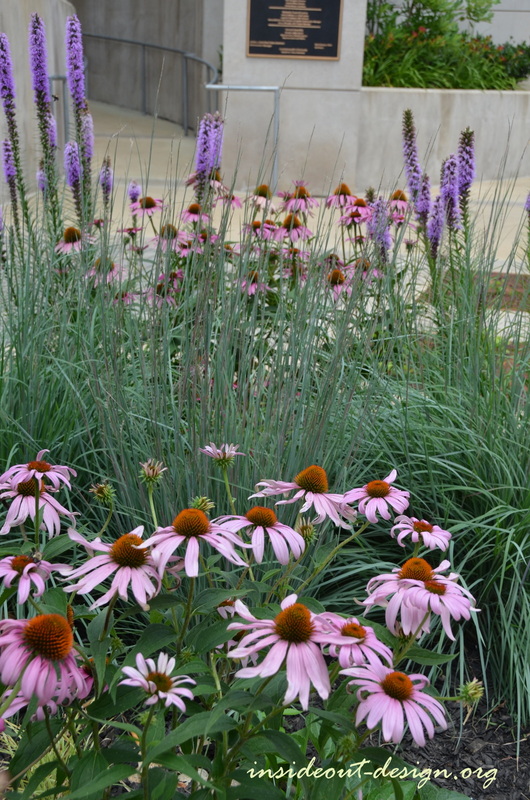 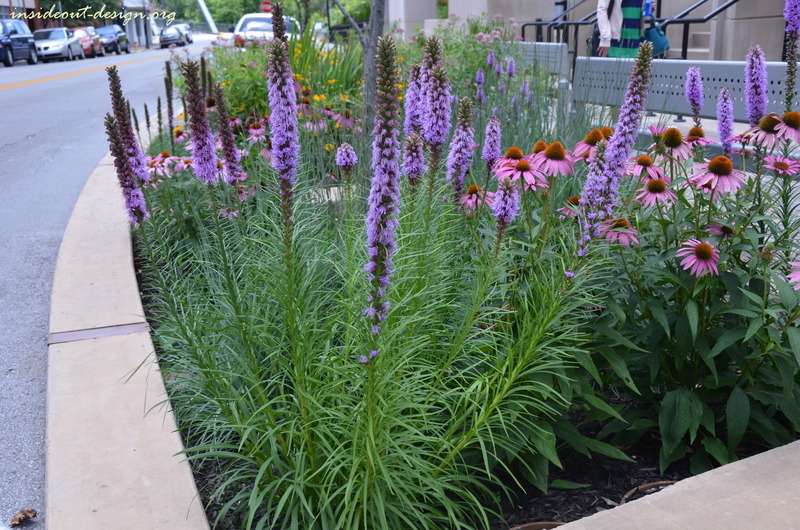 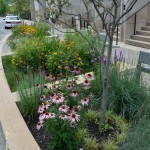 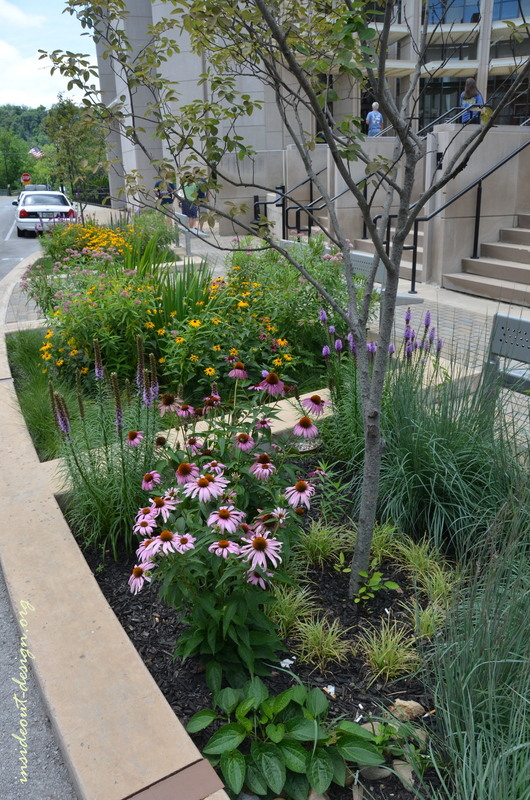 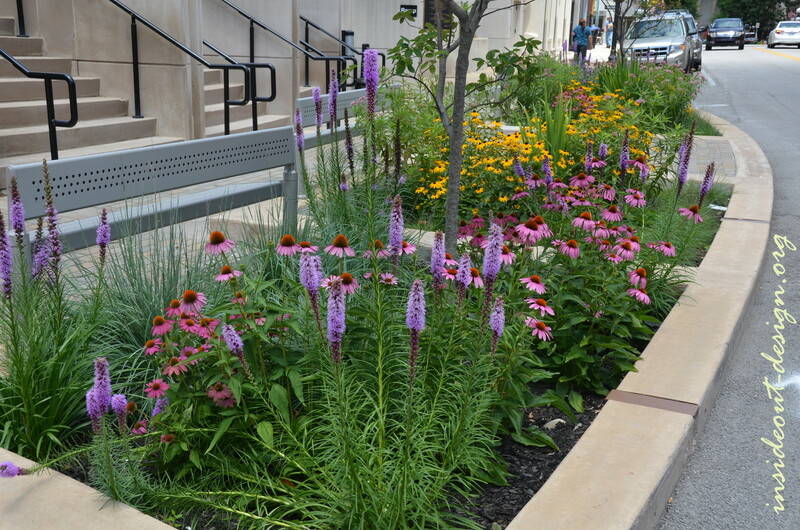 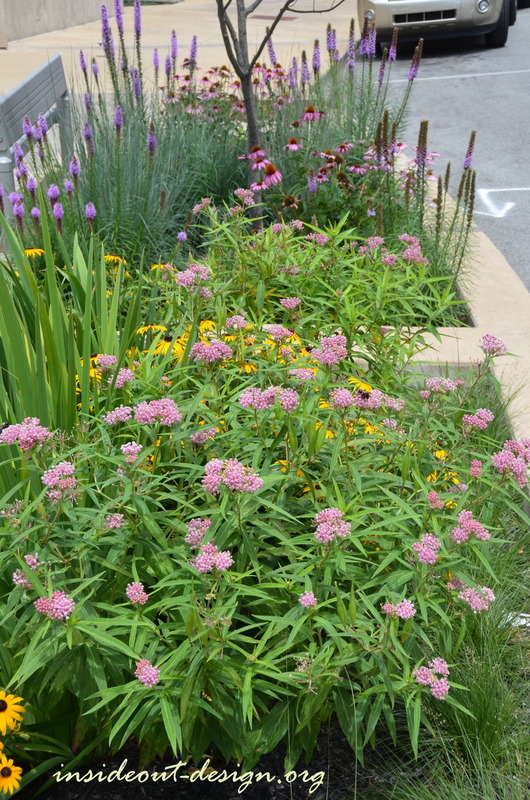 A redesign of the rain gardens provides a native, colorful addition to downtown and also helps capture and filter storm water in a more efficient way. 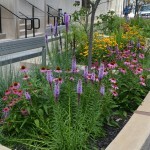 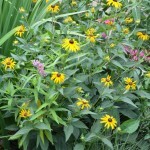 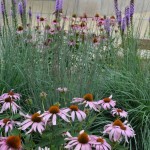 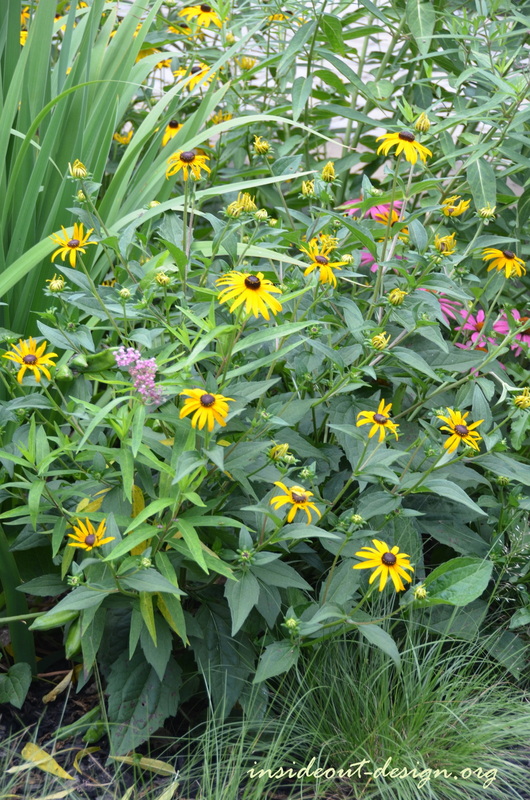 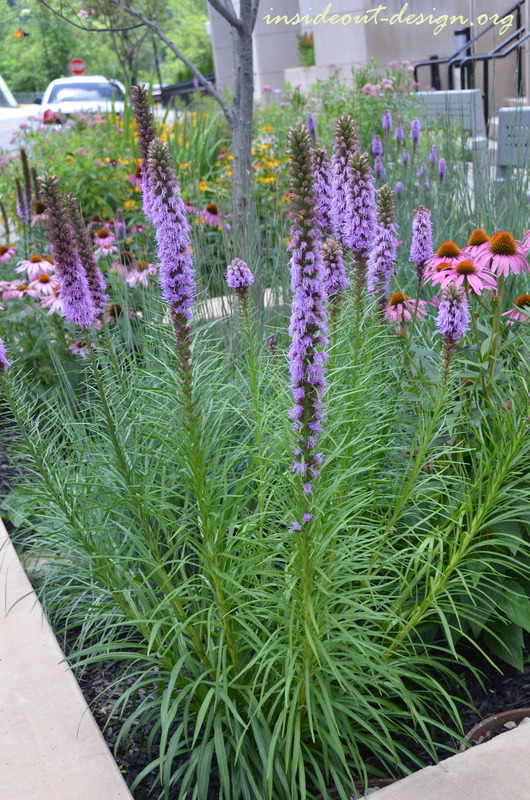 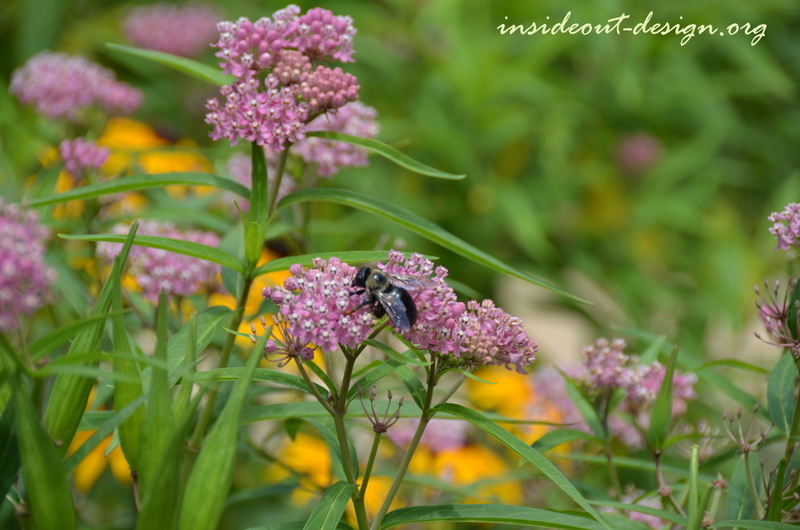 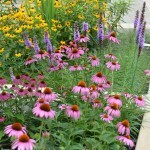 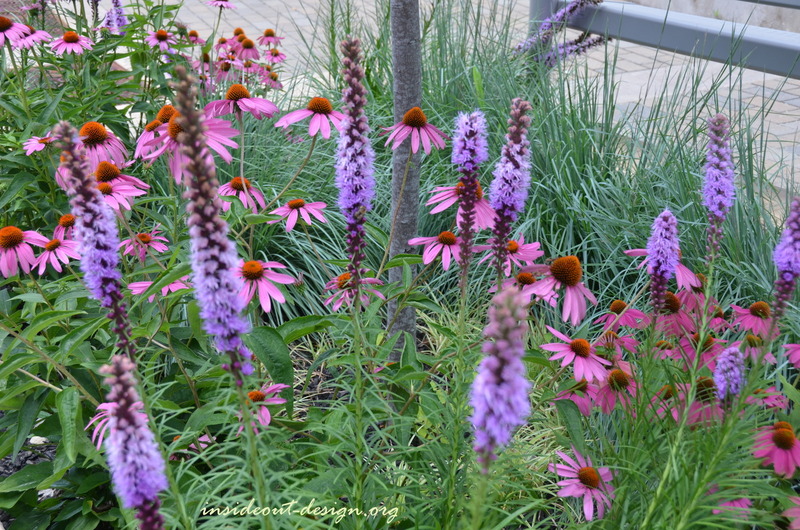 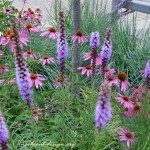 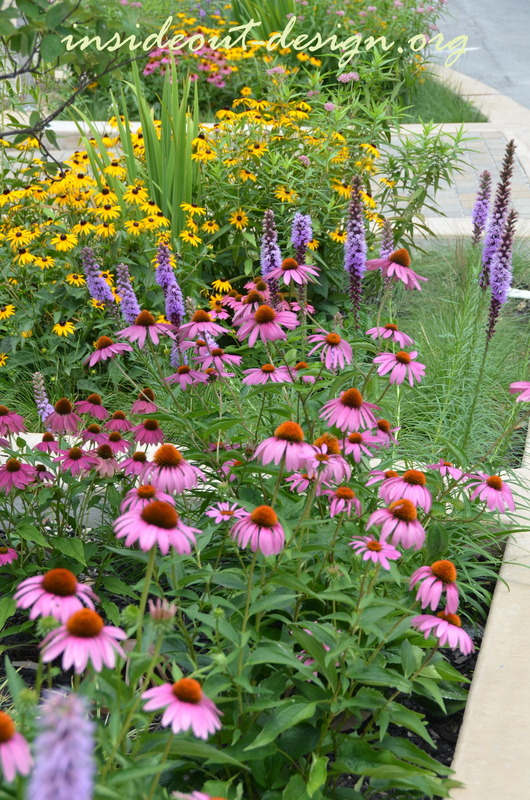 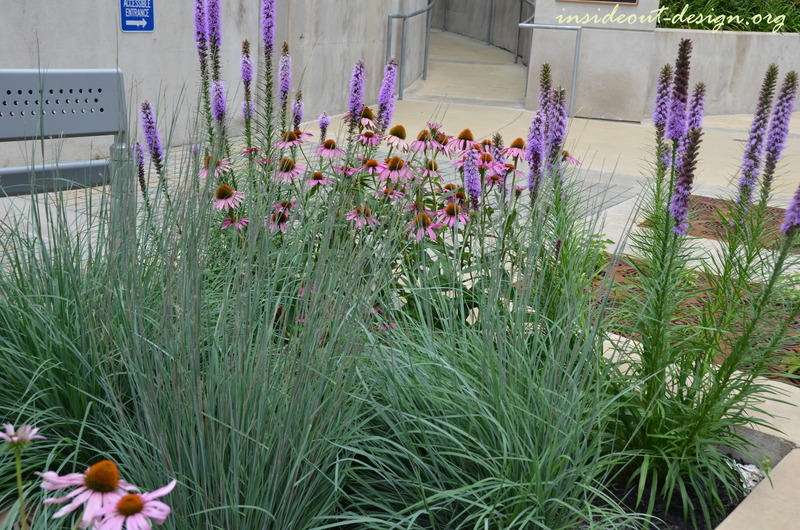 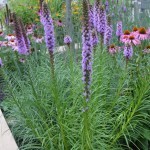 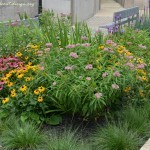 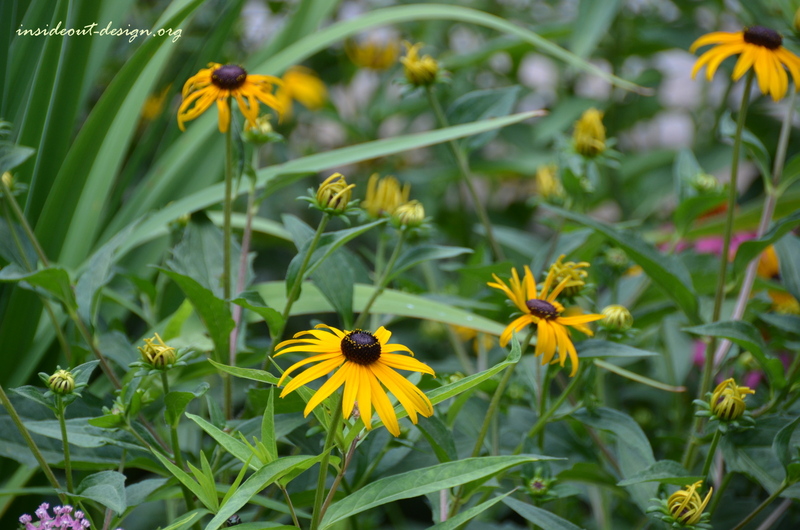 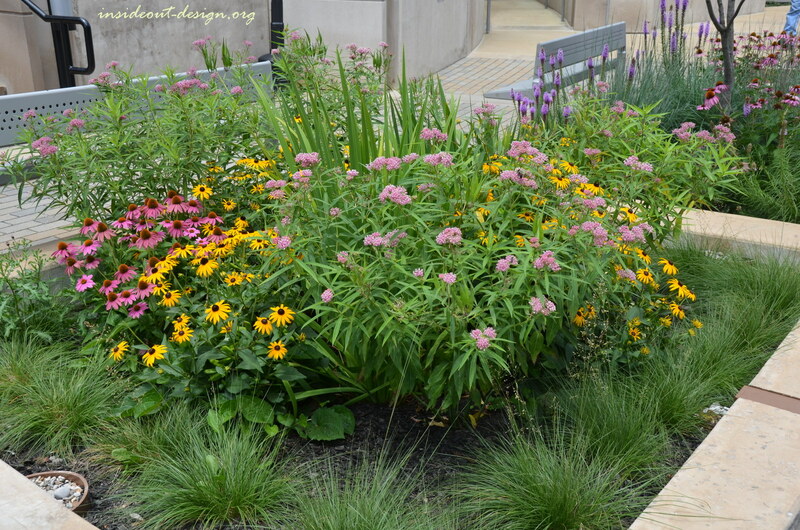 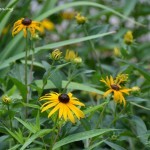 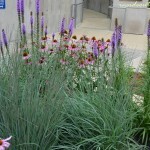 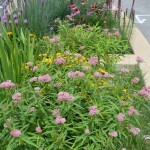 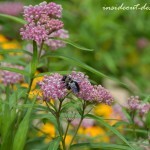 Swamp milkweed, purple coneflower, black eyed susans, liatris, little bluestem, prairie dropseed, sedge and serviceberry create a vibrant display of color in the summer. 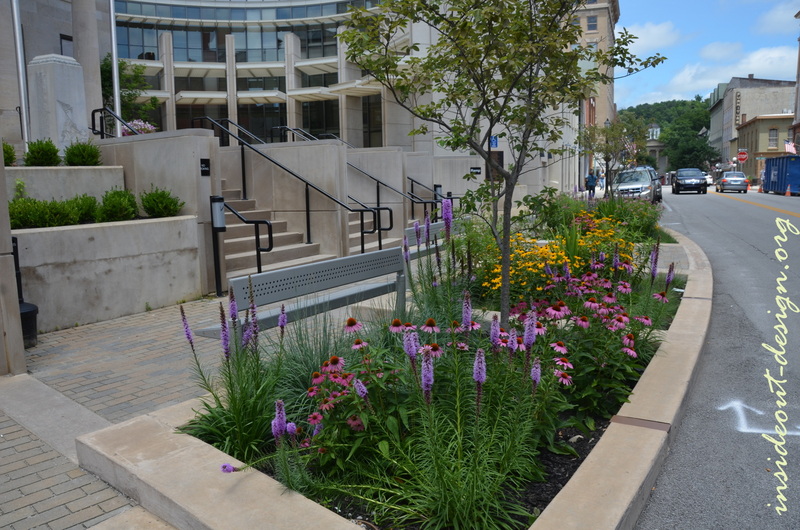 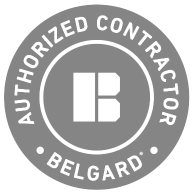 Part of this project also included correcting permeable pavement systems to properly drain and eliminate puddling on the sidewalk.